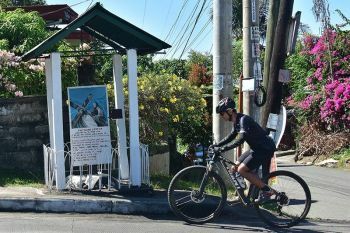 THE Police Regional Office (PRO)-Cordillera will conduct the "Pulis Natin Caravan" at the Malcolm Square Baguio City Saturday, April 14, coinciding with the general assembly of the Rotary District 3780. 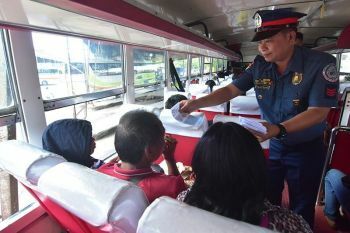 The caravan aims to bring the Philippine National Police's (PNP) frontline services to the people of Baguio City and nearby provinces in order to cater to their complaints, queries, issues and concerns and other services. Services consist of the issuance of clearances and processing of license to own and posses firearms (LTOPF), firearms registration, permit to carry firearms outside residence (PTCFOR), supervisory office of the security and investigation agencies (Sosia), lectures and legal advice, as well as information dissemination. PRO-Cordillera Director Edward Carranza encouraged citizens to avail themselves of these services of the PNP to solve issues and concerns of communities. Meanwhile, the Ganda Pulis 2018 Pageant Ball (Gala Night) will be held on April 21. Candidates will compete for the ethnic costume and long gown awards. 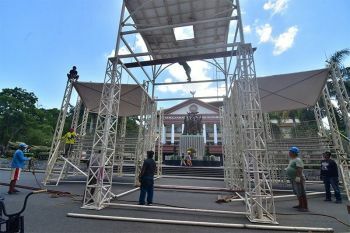 The grand finals and coronation night will be held on April 23, at 7 p.m. at the PNP Multi-Purpose Center, Camp BGen Rafael T. Crame, Quezon City, with incoming PNP Director General Oscar Albayalde as guest of honor and speaker. The candidate who will bag the Ms. PNP #GandaPulis 2018 title will represent the PNP as its Goodwill Ambassadress for promoting the advocacy on the PNP's Recovery and Wellness Program (RWP) and the PNP MC 30-2017 entitled "Community-Based Rehabilitation Program," as well as other projects and programs of the PNP, such as those on Women and Children, in promoting tourism through Topcop's.